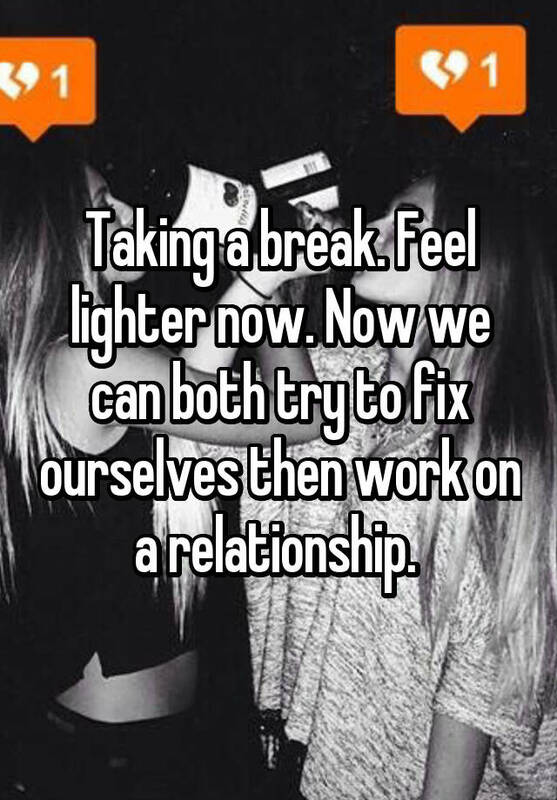 If Friends taught us anything, it's that "taking a break" isn't simple — and it doesn't mean the same thing to everyone. 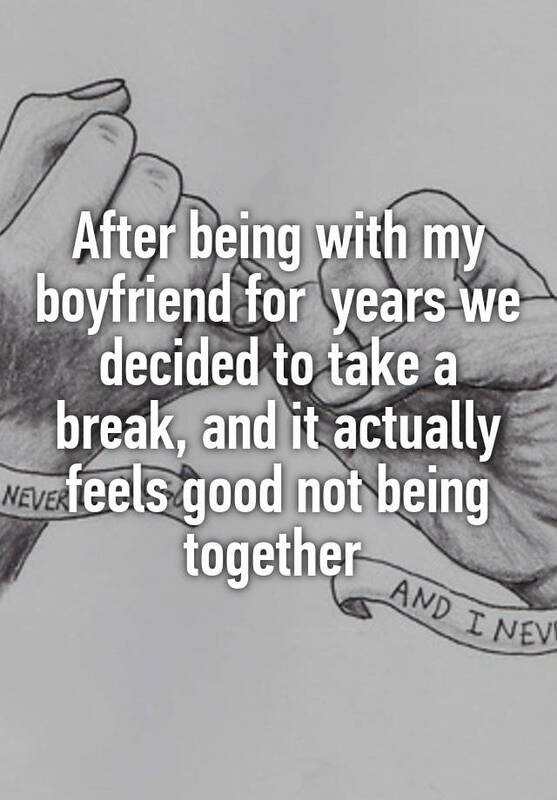 It could just as easily mean putting a relationship completely on hold or just spending some time apart (while remaining monogamous and committed). 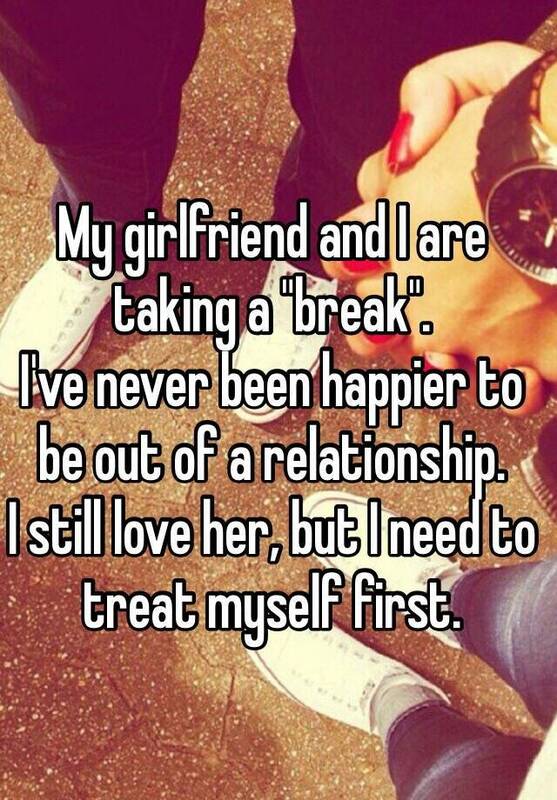 And there are countless reasons why a couple might take a break in the first place. 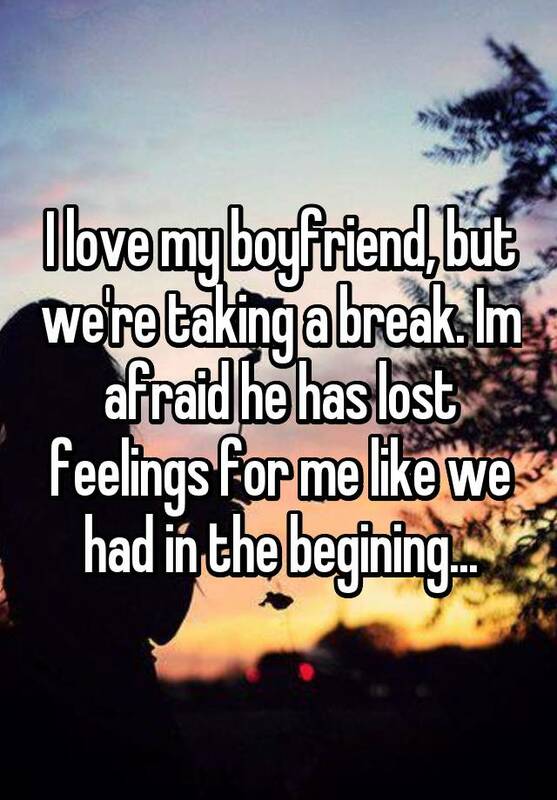 Maybe they want to revitalize their relationship, or try being on their own, or maybe they aren't sure about their feelings anymore. Like we said, taking a break can be tricky. 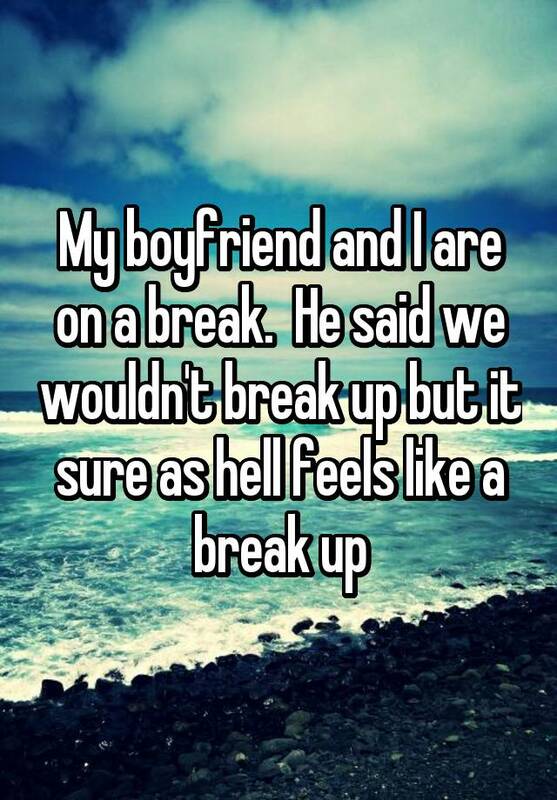 And it's only natural that these breaks might lead to mixed feelings on either side of the relationship. 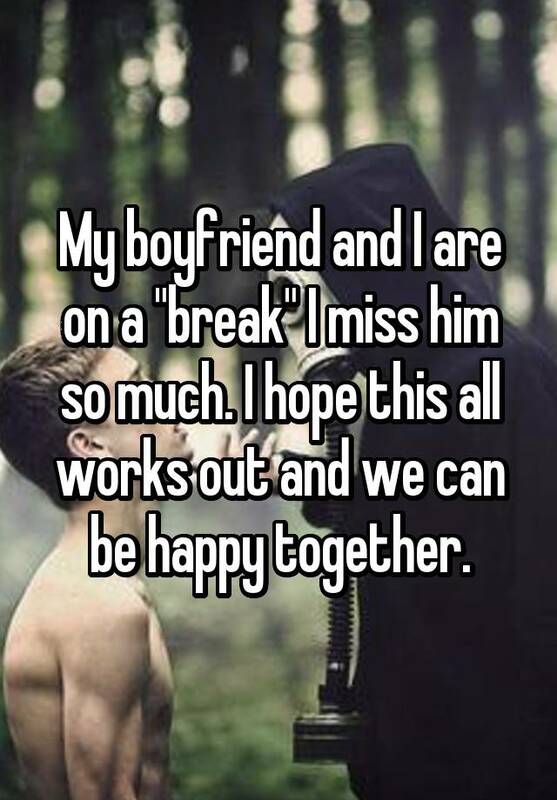 As one person posted to secret-sharing app Whisper about her relationship break: "I don't know whether I want to cry or scream, 'Thank Jesus.'" 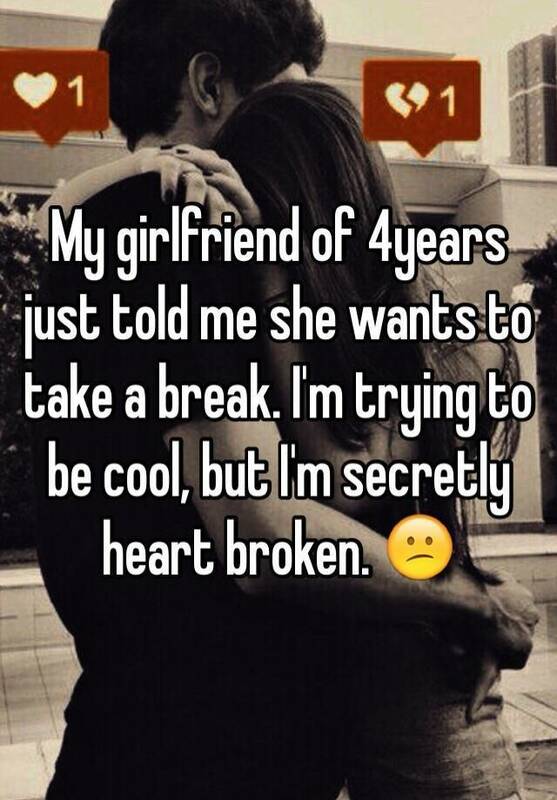 Another wrote: "I'm trying to be cool, but I'm secretly heartbroken." 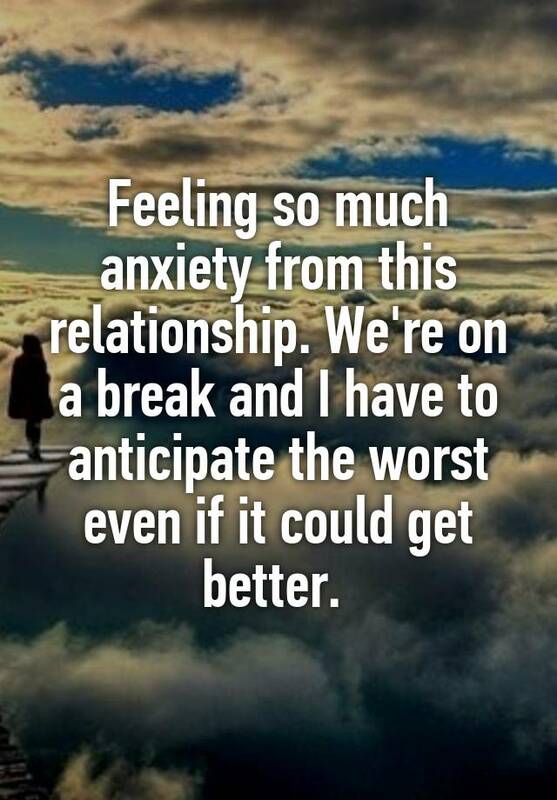 As difficult as it may be, taking a break will hopefully help the couple figure out what they need to do next — and what might be best for the relationship. Our unprofessional advice? 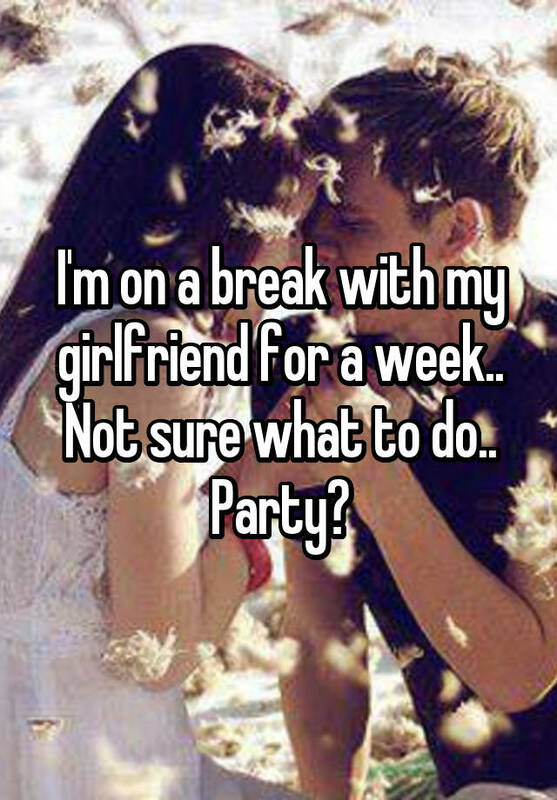 Ask your partner what a "break" means for you two before deciding to take one yourselves. 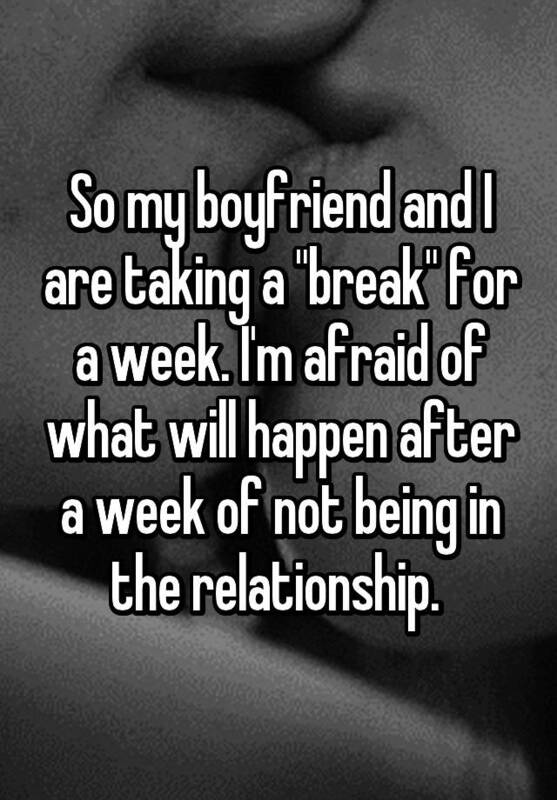 Below, we've rounded up 21 stories, via Whisper, about the many realities of "taking a break."